UNITED NATIONS – U.S. Vice President Mike Pence told the Security Council on Wednesday the Trump administration is determined to remove President Nicolas Maduro from power in Venezuela, preferably through diplomatic and economic pressure, but “all options are on the table” – and Russia and others need to step aside. The United States called the emergency meeting of the U.N.’s most powerful body, which is deeply divided over Venezuela, to focus on the worsening humanitarian situation in the South American country. But as with previous meetings, this one was dominated by U.S. efforts to oust Maduro and replace him with Juan Guaido, head of the country’s opposition-controlled National Assembly. But he said that since 2017, Trump has made clear that “we’re absolutely determined to see freedom and democracy restored in Venezuela” and to see Maduro step down and democracy restored under Guaido. 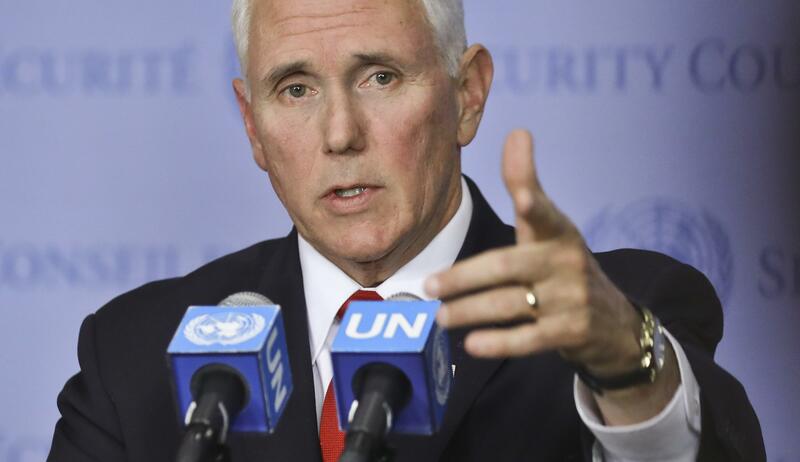 Pence urged the United Nations to recognize Guaido as Venezuela’s interim president and revoke Moncada’s credentials as his country’s U.N. representative. He said the United States would be circulating a resolution that would do this and also stand with the Venezuelan people “as they rise up … against intimidation and violence,” and for freedom. The United States would need strong support in the 193-member General Assembly to change Venezuela’s credentials from the Maduro government to Guaido, and with only 54 countries now supporting Guaido as Venezuela’s interim president, it faces an uphill struggle. Guaido toured the Caracas area Wednesday telling supporters it is not the time to rest in the fight to oust Maduro, who the U.S. and other nations contend was re-elected illegitimately last year because the main opposition candidates were barred from running. Published: April 10, 2019, 5 p.m.